Weber’s Alpha Compact Tamp-Blow label applicator is a cost-effective solution to fast, reliable non-contact pressure-sensitive labeling. This system features a small footprint, yet employs a highly-accurate tamp-blow method of application to affix p-s labels onto products on your production line. The Alpha Compact tamp-blow unit automatically unwinds the supply roll and dispenses the labels onto a tamp pad. As the product coming down the conveyor triggers a sensor, the tamp pad holding the label extends to the product. A proximity sensor on the tamp pad stops the motion a quarter-inch from the product where the label is blow onto the product. 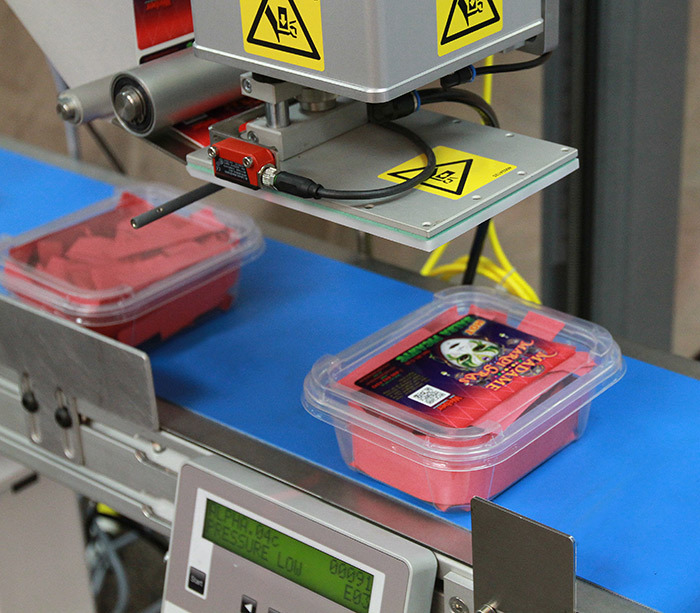 This non-contact method of label application is perfect for labeling recessed areas on products such as clamshells and containers with raised edges.This system applies labels up to 4.7” wide and 6.3” long at speeds up to 164 feet per minute to a tolerance of ±0.05”. 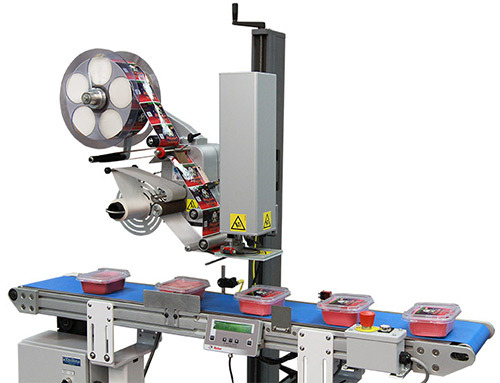 The versatile unit can be oriented to apply labels to the sides, tops or bottoms of packages. To accommodate various production environments, the Alpha Compact can be specified for right- or left-hand applications. • Panel HMI includes an external operator's panel that provides system control through a pair of potentiometers and four push-buttons. 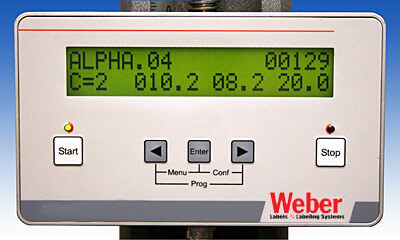 • Display HMI replaces the operator's panel with an LCD display that provides full access to all adjustment parameters. • USB utilizes a USB connection that permits the unit to be configured from a PC. Each version of the Alpha Compact features rugged die-cast aluminum construction, single-key calibration, automatic recognition of missing labels, in-production speed adjustment, and more. 28.15" x 12.2" x 23.22"